Peanut butter’s greatest hits, remixed. 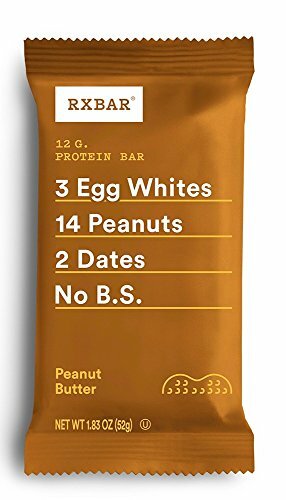 The irresistibly creamy taste combines the satisfying crunch of peanuts with the big-time nutrition of egg whites and dates. This winning combination results in an impressive 12 grams of protein and 4 grams of fiber, all from natural ingredients. RXBARs are found in thousands of workout bags, purses, glove compartments and office drawers around the country. It's great as an energy bar, a snack bar, breakfast bar, or snack between meals. Food Should Taste Good Sweet Potato Tortilla Chips - Sweet Potato - Case of 24-1.5 oz.